Health is strengthened by real cordiality and positive feelings, even if they are wilfully evoked. A Research Institute in California gained this result through long years of studies. On this basis special programs have been developed to handle “inner” stress, and, in the United States, they are already successfully working in companies, schools and the army. Not only are positive feelings like love, care and recognition simply more pleasant than negative feelings; they are at the same time the key to physical vitality, to strengthen the body’s defences and to higher effectiveness. The calm, uniform heartbeat, accompanied by positive emotions, creates harmony and order in the interplay of the orchestra’s organism – like a conductor. The process is even “catching”: It can be measured how much the heart, brain, nerves and the endocrine system of people in the surroundings get harmonised, if somebody radiates a positive attitude and cordiality. It sounds like esoteric enthusiasm, but this fact is the spectacular result of many studies carried out during the last 10 years at the “Institute of Heart-Math” in Boulder Creek, California. And the latest biological research confirms: Our hearts are much more than simple mechanical pumps. They even possess their own “brains” and an independent hormone production which influences the whole organism. This gives scientific proof of the ancient esoteric doctrines which emphasise the great significance of the heart, of being centred in the heart and in the feeling of love. It should be noted that even when positive feelings are wilfully evoked, e. g. through a “heart-meditation”, the healing effect starts working; heart and nerves will be protected and regenerated. The immune system is measurablystrengthened. Emotional and mental conflicts are alleviated or even completely solved. The entire organism is energised, vitalised and a bit healthier. The research workers at the Heart-Math-Institute could also prove the opposite effect: stress, negative feelings like fear, frustration and a discrepancy between thinking, acting, and feeling result in a weakening of the whole body and to disorders in the cardiovascular system. After strong negative emotions, e. g. an outburst of rage of five minutes, it can last up to 6 hours until the disturbed defence mechanism again normalises. Besides, the vegetative nervous system regulating the central bodily functions like respiration, digestion and metabolism, is permanently losing its balance. As a consequence, the risk of dying of cancer or of a cardiac disease rises by 40%. After a heart attack the risk of getting a second one doubles, and the probability of a sudden cardiac death is even 6 times higher with people suffering from severe anxieties. Hence, emotional permanent stress is a greater potential danger for health than smoking cigarettes. How can dangerous permanent stress be recognised? 1st Stress State: Sleeplessness, overreaction, hyperactivity, anxiety, imbalances in the respiration and heart rhythm like a „racing heart” and hyperventilation. During this phase the performance of the organism increases for a short time and then drops again. 2nd Stress State: In case stressful circumstances continue, then the organism loses its regulating ability. It results in a permanent decrease of energy, endurance and vitality. Chronic tiredness, exhaustion and a general lack of interest increase. Permanent stress leads to rhythmic disorders of the vegetative nervous system which in turn relates to depressions, irritable colon, allergies, asthma, migraine and other health problems. Contrary to nicotine stress and negative emotional situations, however, cannot be completely avoided in daily life. At the Heart-Math-Institute simple visualisations and a special “heart music” (see box) have been developed in order to be able yetto use the amazing healing effect of positive feelings in an actual stress situation – if practiced appropriately. “They are able to quickly stop the stress circulation. Emotional balance stabilises, inner wisdom and intuition are activated, and, on the whole, the ability grows to face the challenges of life in a more flexible way”, declares Doc Lew Childre, founder of the “Institute of Heart-Math” and pioneer in the field of stress management. The discoveries have become possible at the Heart-Math-Institute through a new method of measuring the heart rate. That means they work with a completely new method of analysing the normal electrocardiogram (ECG) with the help of special mathematical formulae. Special focus is directed on changes of the heartbeat rhythm by the scientists (the so-called variability of the heart rate), for sometimes the heart beats faster and other times it beats slower. They found out that feelings change the gap between two heartbeats in a specific way. While frustration, fury, and anxiety lead to an irregular, hectic heartbeat, recognition, praise, love and care make the heart pulsate in a regular rhythm. But changes in the heart rhythm also reveal whether the nervous and hormone system function in harmony. This is the case when stimulating and soothing impacts on the heart are in balance. Emotional and mental stress program the organism to escape, to attack or to react quickly to a potential dangerous situation. As a result the stress hormones adrenaline and cortisol are released, the arteries contract, the blood pressure raises, the heartbeat becomes quicker and less rhythmic, and the digestive powers as well as the immune system are inhibited. The risk of cardio-vascular diseases increases rapidly. On the other hand positive feelings relax the organism. The heartbeat reduces and its rhythm harmonises. 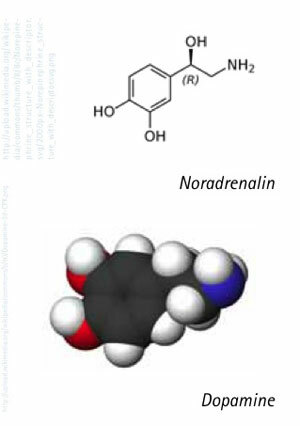 At the same time anti-stress hormones like DHEA, also known as anti-aging hormone, are released. If one honestly praises or loves somebody, consequently not only the one who is praised feels better, but it is also beneficial for one’s own health. However, permanent criticism, frustration, and an atmosphere of anxiety and distrust, in the long run, make the body sick. But how can feelings and the resulting change of heartbeat have at all such a great influence on the whole organism? It is true that the heart produces with its 2.5 watt approximately 40 to 60 times more electric energy than the brain, and the electric signal produced by the heartbeat can be measured at every spot of the body. But is it really possible that the various areas and functions of the organism are so influenced by these effects? Negative feelings like anxiety, fury and frustration as well as stress are triggering sickness. In the seventies scientists have observed for the first time that certain feelings go along with a change of the heart rate, blood pressure, respiration and digestion. In 1983, a new hormone exclusively produced by the heart was discovered. It was called ANF. This heart hormone has an impact on the blood vessels, the kidneys and the suprarenal gland as well as on many areas of the brain which are responsible for the regulation in the organism. 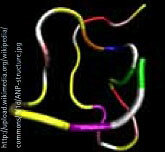 A first bio-chemical way was found how the heart can control the rest of the organism. In their classification therefore the biologists “promoted” the heart from a simple pump to a hormone gland. Furthermore, medical doctors found out in the eighties that certain cardiac cells also produce important chemical messengers for the nerve tracts, the so called neurotransmitters noradrenalin and dopamine. Besides, they discovered a nerve track by which the heart can directly block or stimulate brain activity. Thus, the heart by no means only follows the commands of the ‘thinking head office’. Moreover, the scientific research revealed that the heart has even a completely independent nervous system. Due to this “mini-brain” of the heart only it is possible that the heart is able to function in another body after a transplantation, for the pre-existing nerve tracts towards and from the brain have been severed. A new branch of cardiology came into being, the so-called neurocardiology in order to investigate more precisely these correlations. The heart was elevated to a “heart-brain”. Just recently, some scientists even deny the original pumping function of the heart: the heart does not drive the blood like a pump in a “circulation” through the organism back to the ventricles. It shows rather a resistance in the actual bloodstream through which the pressure in the “conducting system” increases. Instead the bloodstream towards the heart is produced by the cell tissue of the whole body by exchanging 80 times about 2.5 litres of liquid components of the blood during the day. In this way within 24 hours nearly 200 litres are flowing into the blood vessels. This regular flow from the periphery of the body via the veins towards the heart is transformed by blockage and rhythmic discharge into a pulsating streaming. In turn, the higher pressure thus gained makes sure that the blood via the arteries reaches the last cell. 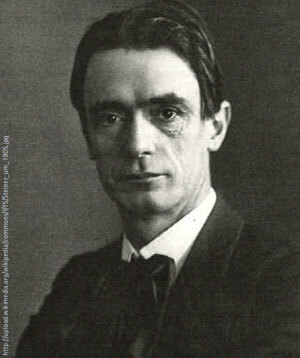 Already in 1920 Rudolf Steiner, the founder of anthroposophy, proposed for the first time this interpretation of the heart-mechanism. Pump, pressure drag, brain or endocrine gland – what actually is the function of the heart? According to Chinese Medicine having as a basis the term of life energy “Chi” there is a blend of all energy flows in the heart. Here, among other things, food-Chi, respiration-Chi, kidney-Chi and inner and outer Chi are connected with each other. Anthroposophical doctrines consider the heart as a “central organ of integration and reflection” where the balance between “head” and “belly”, thinking, feeling, and wanting takes place. As per concepts related to Indian Yoga the stimulation of the heart chakra – an energetic centre in the region of the heart – is one of the most important preconditions in order to be able at all to gain deep spiritual insights in an expanded state of consciousness. The investigations at the Heart-Math-Institute demonstrate that the heart really plays a decisive role in the coordination of body, spirit and soul: The frequency of a harmonious heartbeat, as it only happens with positive feelings, namely causes other rhythms like respiration and brain waves to “resonate” and thus results in healthy harmony. Only through the arising unison the “orchestra” of the organism can reach its full sound. “If the human being is able to reduce his inner mental and emotional dialogue to a large degree, then there is the biggest harmonising and healing effect. Thereby, the influence of the brain on the heart beat tends towards zero and instead the heart rhythm influences the brain waves”, declares Doc Childre. In such states, heart researchers have found that the test person is capable of very clear thinking processes and increased creativity. His reactions are quicker and more flexible, and on the whole he is more effective. Sometimes also states of deeper perceptions have occurred. Especially states of stress and inner conflicts could quickly be reduced. Californian scientists call this state “inner tuning modus”. It is a state of relaxed alertness which also occurs in meditation. Already in the middle of the seventies scientists discovered at the first US Kundalini-crisis-clinic in San Francisco that during meditation the pressure pulse of the blood flow can build up a uniform vibration of 7 to 8 Hertz (= cycles/second). In turn the lungs, the diaphragm and the cerebral matter can be stimulated to resonate by acoustic waves. Ultimately, the brain waves also start tuning into this rhythm. This can result in highly unusual energetic and spiritual phenomena similar to the awakening of Kundalini energy, the mysterious serpent power of the Yogis. For physical and psychic health it is, however, important to find such “inner attunement” and harmony not only in the stillness of meditation. Moreover, it should be gained in situations where it is mostly needed: in the stress situations of daily life. For that purpose the staff of the Heart-Math-Institute developed specific heart exercises under the term “Inner Quality Management”, in short “IQM”). The basic technique is amazingly simple: One concentrates on the heart region by imagining, for instance, inhaling and exhaling at that place. In this manner one activates in oneself a specially positive feeling. Furthermore one should try to remember a special situation where this feeling has spontaneously happened already once. If this feeling spreads, the raging mind and emotions calm down. Instead, “heart-intelligence”, the original inner source of intuition or the “inner guide” is activated. (see also instruction in the box text). “These techniques have an amazing effect on the working moral of employees. Previously, 46% of them declared to often feel exhausted; after the exercises the number reduced to 9%.”, reports Carol Mortimer, managing company doctor at the computer company ‘Hewlett-Packard’, Great Britain, about what has been experienced in her company with the application of this method. The experiments with 2500 employees of the “Canadian Imperial Bank of Commerce”, the second biggest Bank of Canada, went off with similar success. After having practised the visualisations exercises daily for a period of six months, 82% of them felt an improvement of their health and general condition. Positive feelings like love and care strengthen the defence system. Members of the middle and upper management of the oil company “Royal Dutch Shell” stated that after having applied this method for six weeks their proneness for stress had considerably reduced. Thus, the tension reduced by 65% and rapid heartbeat diminished by 38%. When questioned before and shortly after the time of application they estimated that their worries reduced by 70% and the tiredness by 87%. At the same time the feeling of happiness increased by 68%, efficiency by 86%, creativity by 119% and the ability to make intuitive decisions by 100%. Organisational objectives concerning have also been much clearer to the participants by 197%. Other big companies, like the aircraft manufacturer “Boeing”, “Cathay Pacific Airways” or the telephone manufacturer “Motorola” also have successfully tested the techniques of the Heart-Math-Institute already. Soldiers in 35 strongholds of the US army as well as children of American schools are learning the techniques for improving their performance. Being asked before and after the Heart-Math-Training 34 pupils at the age of 14 considered their performance, their ability for empathy, their positive way of coping with anger as well as their attitude towards school stress and self-responsibility to have increased by 30% in average compared to the situation before. Various energetic exercises and visualisations have been developed at the Heart-Math-Institute of California which have been summarised as “Inner Quality Management”. They measureably reduce the negative health effects of emotional and mental stress and increase efficiency and creativity. Activating heart intelligence is the most important technique. The activation of heart intelligence (the “Freeze-Frame-Method”): It serves the shifting of perception towards the heart, i. e., heart intelligence to immediately stop negative stress reactions and to increase creativity. 1. Observe yourself and your bodily reactions and recognise when you feel stressed. 2. Try already in the stress situation to divert your attention from raging thoughts and emotional confusion towards the heart region. Imagine your “breathing” with your heart and thus direct your energy into that area. Remain fully attentive there for ten seconds or more. 3. Remember a positive, joyful or happy feeling or a good time in your life. Try again to re-experience these feelings of love, care or esteem full depth. 5. Listen to the answer of your heart.